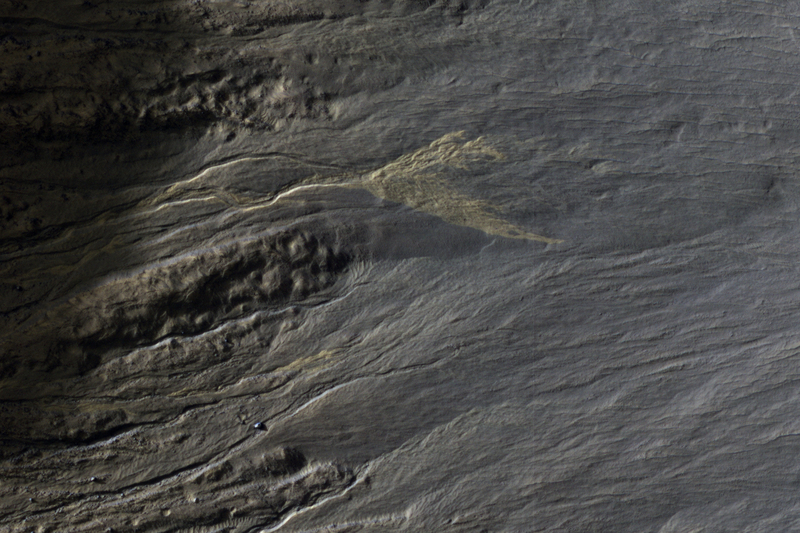 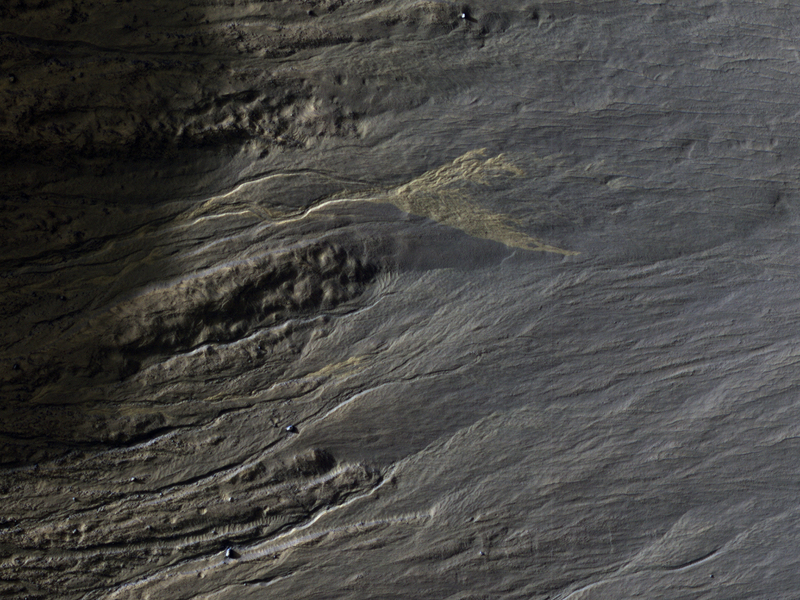 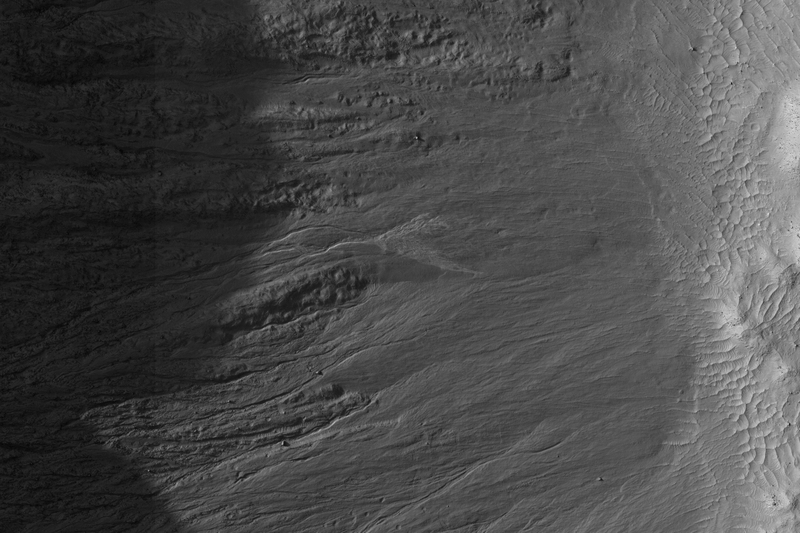 This full-resolution image is centered on a bright deposit at the end of a gully channel. 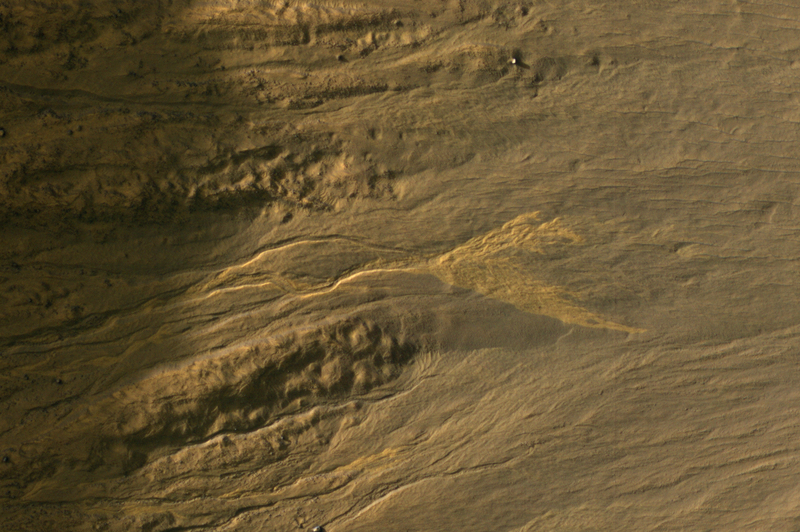 The bright deposit does not seem to be present in an image acquired several years earlier than 2009, and is likely to be very recent based on its distinctive brightness. 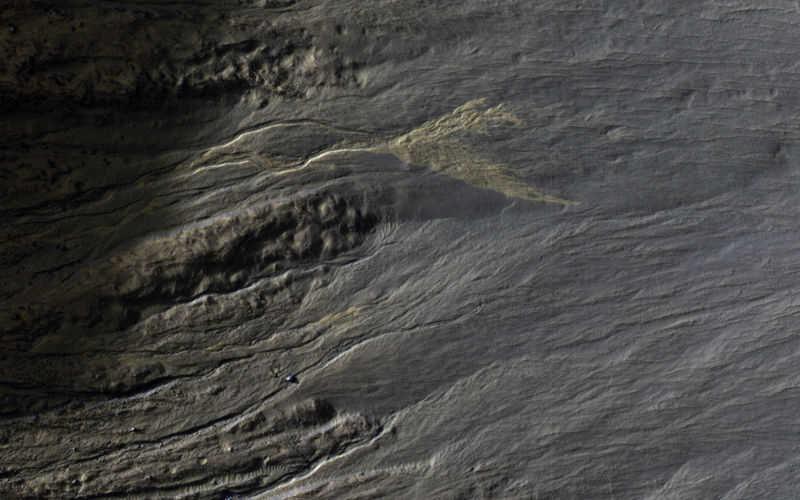 This is a stereo pair with ESP_011509_1380.